Dr. Talid Sinno is a Professor of Chemical and Biomolecular Engineering as well as Mechanical Engineering and Applied Mechanics at the University of Pennsylvania. He is also Director of Graduate Admissions. Talid received is PhD in Chemical Engineering from the Massachusetts Institute of Technology and served as a Lecturer and Postdoctoral Associate there before joining the faculty at the University of Pennsylvania. 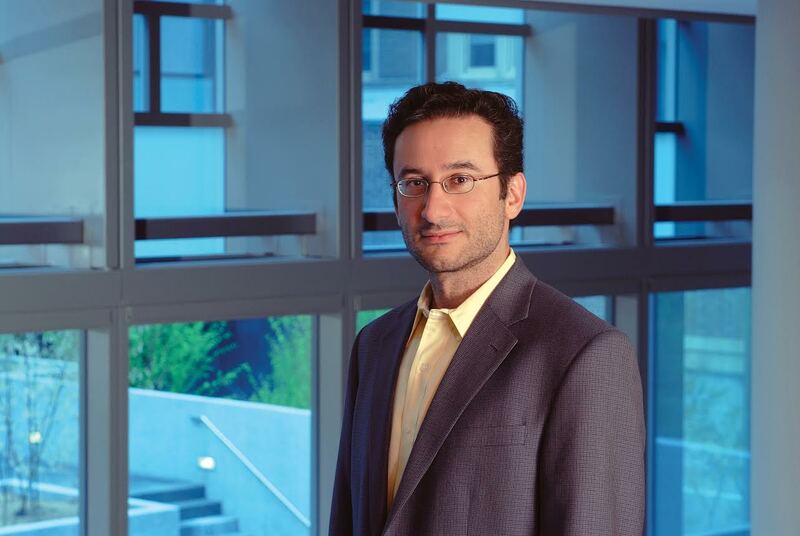 Talid has received various awards and honors during his career, including an NSF Career Award. Talid is here with us today to tell us all about his journey through life and science. Talid loves to spend his free time cycling. H started in graduate school and still carves out a few hours a week to get on his bike. He also is a big beach aficionado, particularly beaches of the Caribbean. In Talid’s lab they develop computer models and simulations focused on how very small, microscopic objects come together or aggregate to form larger structures in both man-made materials or in natural situations. He is not a big fan of motivation quotes but really loves what he does, and that is all the motivation Talid needs. Talid was surrounded science and engineering from an early age since his father was an electrical engineer. He was good at math and chemistry, so chemical engineering seemed a natural choice in college. One of the biggest struggles that stands out in Talid’s mind was applying for academic faculty positions. He started applying as a 5th year graduate student to test the waters. After sending out a few applications with absolutely zero feedback, he was a little concerned. In his final year, he was able to get a few papers published and had better luck with the next round of applications. A great success for Talid was one of the grants his lab received. The purpose of the grant was to gather a group of people who hadn’t previously worked together to propose a project where no one was really sure how all the pieces would fit together. This grant shows there is still room for innovation and that funding agencies are still willing to take risks for interesting endeavors. Talid fondly remembers a trip to Shanghai, China. He referred to this city as a great microcosm of the country because it is evolving at such a quick pace. There were so many sights, sounds, and smells to absorb. He was able to take off one of the afternoons during the conference and spent 8 hours walking around and exploring the city. In his graduate school lab at MIT they had a very eclectic mix of people. They had one of the few 24 hour operations on campus because all of the people working in that office had radically different work schedules. They never closed the door, and you could go in any time of day and someone would be there. Find balance in life. This is one of the most challenging things in academic life. Talid Sinno received his B.S. in Chemical Engineering and B.A. in Chemistry from the University of Pennsylvania. He received a Ph.D. (1998) in Chemical Engineering from M.I.T. after which he pursued postodoctoral work, also at M.I.T., until 1999. He has been a member of the faculty of the Department of Chemical and Biomolecular Engineering at Penn since 1999. Talid’s research interests are in the broad area of multiscale computational materials science with a focus on nucleation and aggregation processes in crystalline electronic materials and metals, colloidal systems, and blood flow. Talid has received the NSF Career Award (2001) and was selected to attend the Sixth NAE Frontiers of Engineering Symposium meeting in 2000.